Stay up to date with Bountiful Drug and get exclusive health news and current events. Bountiful Drug has a history of excellence. We have been serving premium local healthcare to Bountiful, Utah and the surrounding communities since 1910. Visit us today. From walkers to daily living aids, see how you can start living more comfortably today. 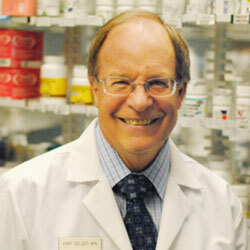 With our large selection of vitamins and free health consultations, we’ll help you live a healthier life sooner. From seasonal flu shots to children’s vaccinations, we’ve got you covered. Talk to a pharmacist today. We offer a variety of immunizations including the flu shot. Stop in today for yours. Our over the counter services include Vitamins, Health Supplements, Pain Medications, Cold and Allergy Medications, Oral Health products, Feminine Hygiene products, First Aid items, Nutritional products, and more. Our pharmacy is more than a source of medicine. We offer medical supplies to fit your individual needs. We offer a variety of medical supplies including; support stockings, walking aids, first aid supplies, bathroom safety, daily living aids, and more. Compounding combines an ageless art with the latest medical knowledge and state-of-the-art technology, allowing specially trained pharmacists to prepare customized medications to meet each patient’s specific needs. 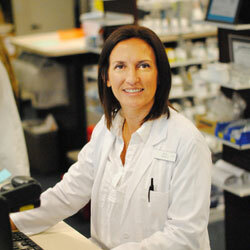 Our pharmacists are very knowledgeable about common diseases that affect the community. We can sit down with you and go over your medication, nutritional supplements, vitamins, and other over the counter items. Do you need help remembering if your taken your medications? Our blister pack card service might be a solution for you or your loved ones. For a $2.00 per card fee we can package your medication into a 30 day blister punch card. Do you know where your nutritional supplements are coming from? We do! We only buy from trusted sources that have good manufacturing processes and are respectable companies. We do our research so you don’t have to! Ever wonder if any of the medications you take might interact poorly together? What about knowing if you are taking the proper dose for you? 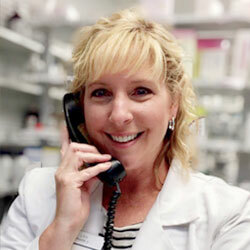 Our pharmacists are here to help. We can go over your medications to check. We provide saliva testing for possible hormone deficiencies. We also provide educational services for those interested in bio-identical hormone therapy. We can work with your provider to help decide a specific hormone therapy just for you. We offer a variety of health screenings including cholesterol tests, blood pressure, and blood glucose. If you don’t have time to get into your doctor for a visit we can help with some basic health screenings. Everyone should know their numbers! We offer delivery to local areas for a fee of $5. This includes the area of North Salt Lake to Centerville. Our deliveries go out each day by 4 pm. Call 801-295-3463 or fill out the form below.